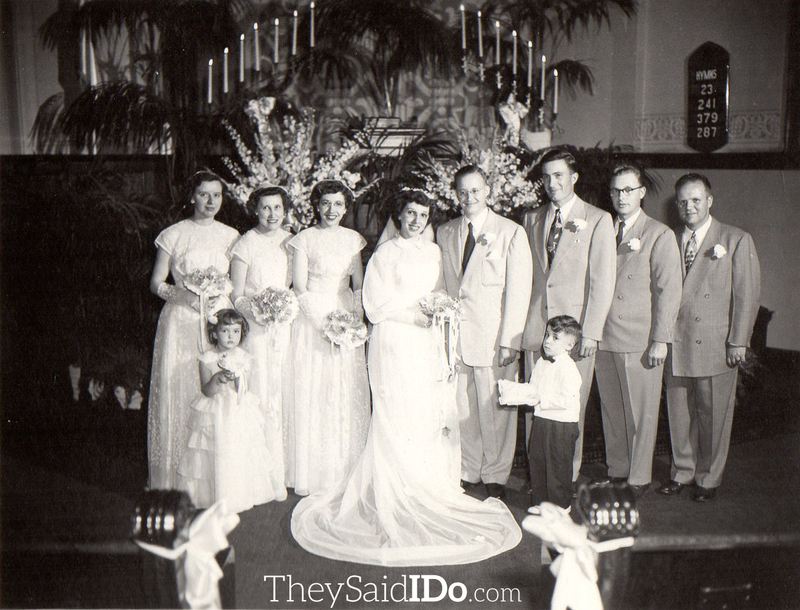 The wedding of Byron and Inez from 1951. 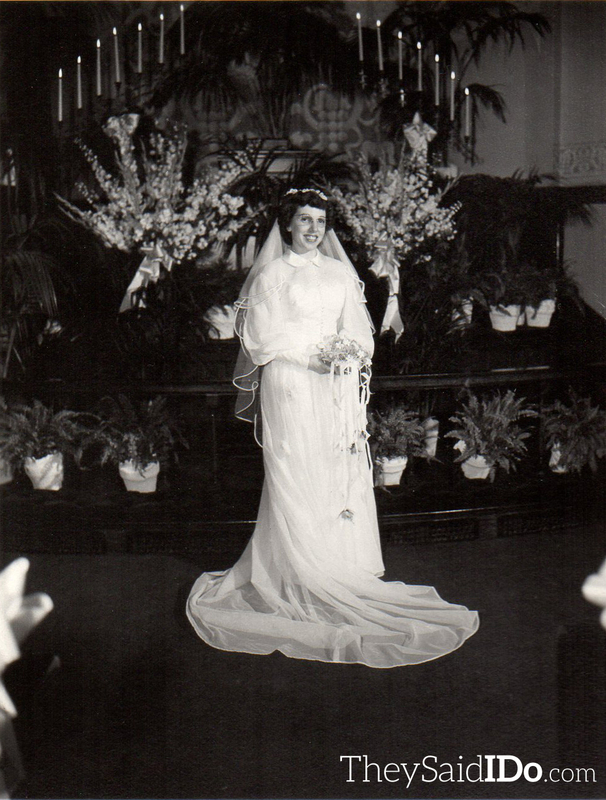 The bride, Inez. Notice the striking resemblance between her and her sister! 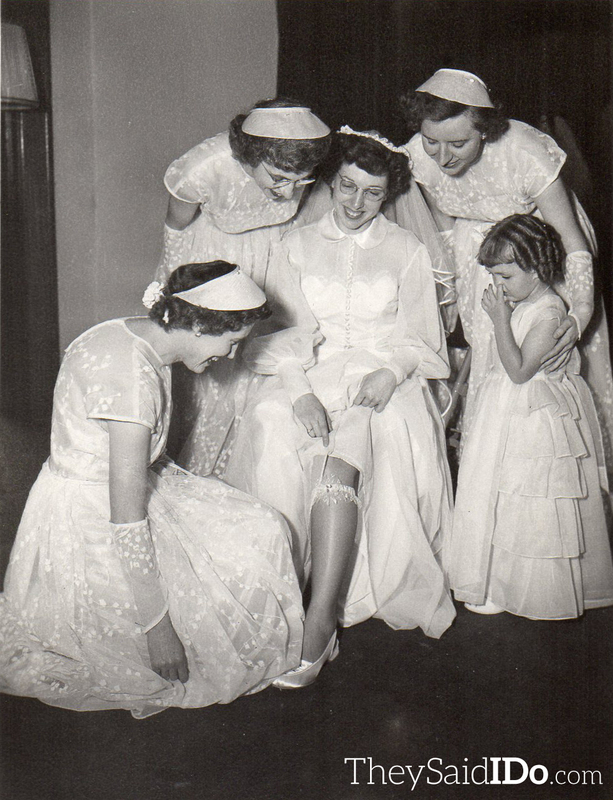 The bridesmaids look on as she shows off her garter. 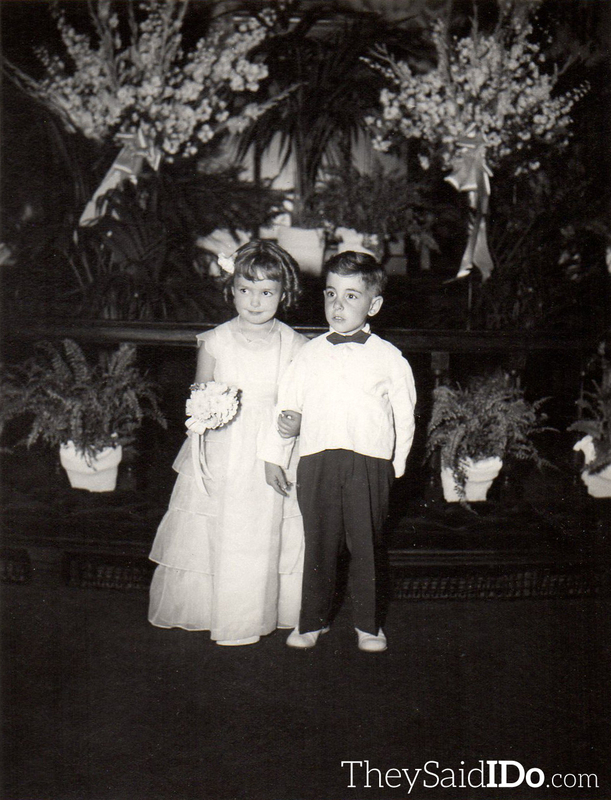 Sister and matron of honor, June, is standing over her right shoulder. 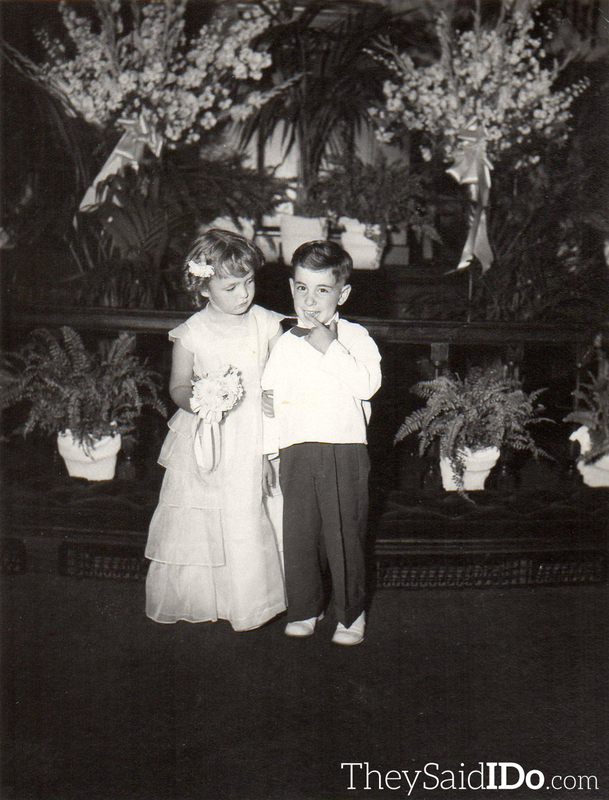 Psst…also notice the flower girl digging for gold! Byron, June and their entire wedding party. Sister June is the matron of honor. Inez and Byron share a toast. 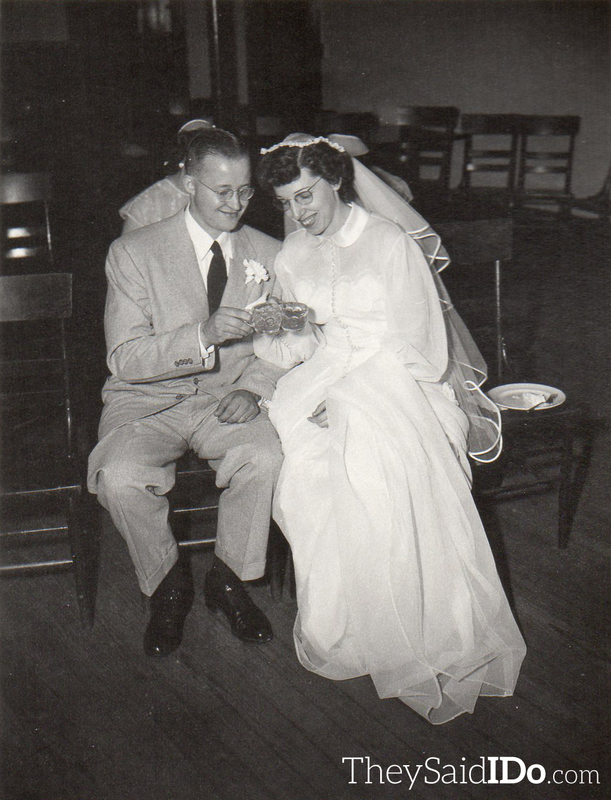 See all the photos of sister June’s 1947 wedding here.